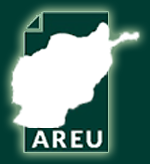 These are events that have been conducted by AREU or have involved significant participation by AREU staff since 2009. AREU expert Dr. Farman Ali presented his research on river basin management in Afghanistan at an EC/Afghanaid-organised workshop on upper catchment management at the EC compound in Kabul. Former AREU Director Paula Kantor and long-time consultant Adam Pain presented at a roundtable on Rural Enterprise Development at AREU’s library in Kabul via video link from London.